Pierate - Pie Reviews: TV's Radford Family keep delivering the goods! 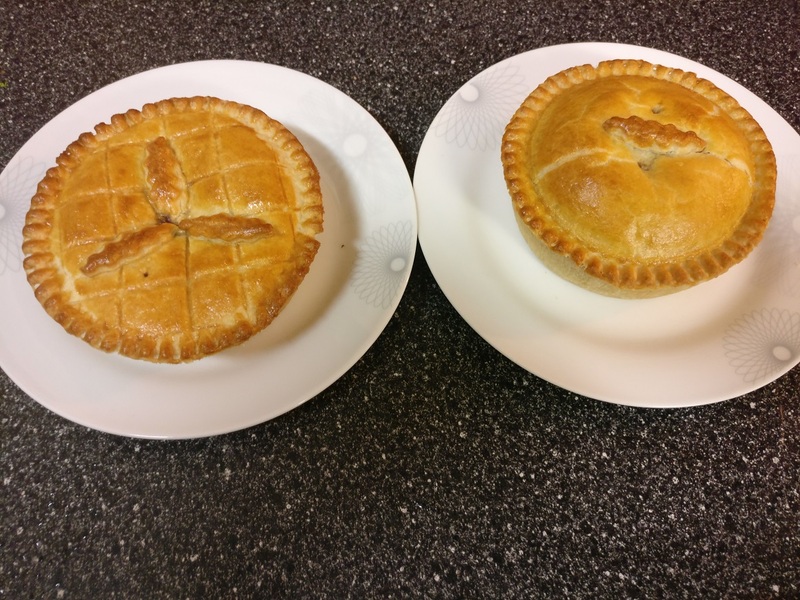 While snow may have ground most of the UK to a halt last week as the “Beast from the East” and Storm Emma hit British shores, we were delighted to still receive through the post a box with two great looking pies from Radford’s Pie Company on Friday morning! And while I somehow managed to wait until British Pie Week before eating them, on Monday I enjoyed both for my dinner. In the post were a venison pie and a beef in red wine pie. Both were in perfect condition through the post and it just so happened that on Monday the owner of the pie company Noel also had a venison pie himself! For those who don’t know, Noel and his family the Radford’s featured on Channel 4’s 15, 16, 17, 18, 19 and “20 kids and counting” and are – as you might have guessed – the largest family in the UK! With so many mouths to feed, it’s a good job the family run a pie company out of the local bakery they own! And not just any bakery, but a top rated pie company at that! With over 15 years of pie baking in the bank and plenty of demand for their home delivery service of those pies, it’s great to see a family run business doing well and expanding their delivery options and we wish them continued success in this. 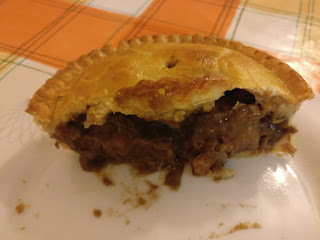 Their previous pies had rated very highly, almost all obtaining a Pierate Recommended score of 5.5/7 or above, so what about the venison and beef in red wine pies I rated this time? Did you know?! 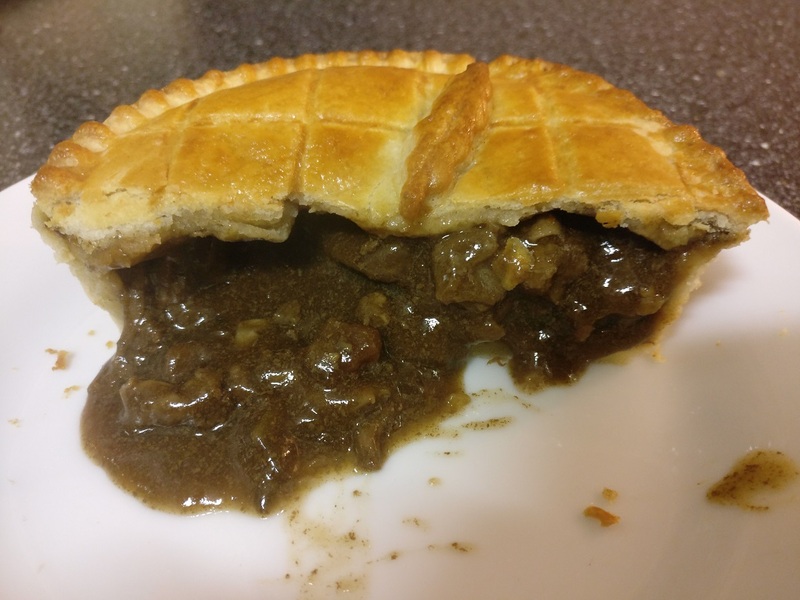 Our first review of Radford's Pie Company is one of our most viewed pie reviews on Pierate but even that pales into insignificance compared to the nearly 40,000 views for the most recent Radford's Pie Company review last year! Well, as before, the pies were again made with shortcrust pastry, with a crisp lid and pastry sides that held the content in well. This was particularly evident when seeing how well filled the pies were, as the pies are crammed to capacity with meat! They come in the classic foil case with crimped top edges, familiar to a lot of (particularly Northern) pies and at £3.45 for the venison pie and just £3.35 for the beef in red wine pie, I think these are both very good value for the price you pay. There was a good amount of tender beef in this pie, which was complimented by a bit of vegetable. The meat was lovely and flavoursome and the gravy was a decent thickness, flavoured well by the red wine. This didn’t overpower the pie by any means and the tender content complimented the crisp pastry well. This was easily another Pierate Recommended pie, and just fell slightly short to the venison pie I also had! While I very much enjoyed the beef in red wine pie, it paled slightly in comparison to the venison pie I also had on Monday evening. In fact, this venison pie was easily the nicest pie from the Radford’s range I’ve had to date. The pie was simple but effective – tender venison meat and a lovely gravy, which was a tad runny but tasted delicious. My only real criticism of this pie was that a couple of bits of the meat were a little fatty still, but this is one of the challenges of working with venison! Overall, the meat was a great foil to the crisp pastry and it is certainly deserving of Pierate Highly Recommended status! With almost all their prior pies knocking on the door of being Pierate Highly Recommended (which is 6/7 or above), the family at Radford’s have finally achieved it! Their venison pie was one of the best I’ve had and I hope to get my hands on some more sometime soon! And with home delivery as an option, I certainly recommend you get your hands on some Radford’s pies during this British Pie Week and beyond!